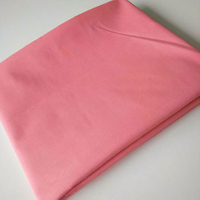 Pocket Fabric Exporter - Shijiazhuang Hongsu Textile Import & Export Co., Ltd.
What fabric is the pocket cloth? 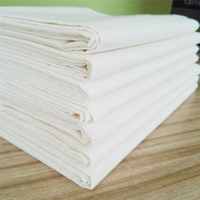 Pocket cloth (English pocketing fabric), is a plain cloth, mostly white, can be used as a pocket, quilt, bag, rice bag. 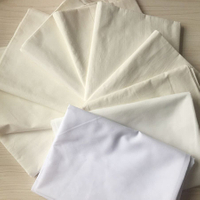 There are a wide variety of pocket fabrics, and the pocket fabrics are mainly divided into three categories, all chemical fiber, cotton and polyester cotton pocket cloth.we are pocket fabric exporter and the best pocket fabric exporter,you can know it. First, according to the content of polyester and cotton. Second, it is classified according to the density of warp and weft. 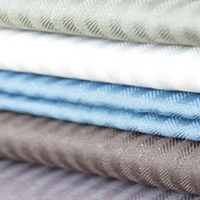 The two together form the specifications of polyester/cotton fabrics. 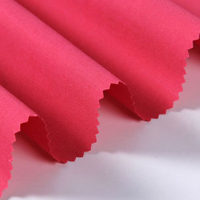 The price of polyester-cotton fabrics is mainly determined by the amount of cotton. The high cotton content is often the price. 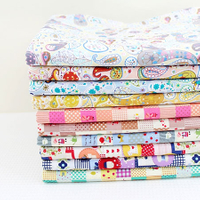 We classify all kinds of pocket cloths as linings. The commonly used pocket cloths are T/C45×45/65×35/96×72, and 133×72. In the modern market competition, the decision-making level of the company recognizes the situation and strives to improve the comprehensive competitiveness of the company. In the multiple links of management, production and sales, the company implements the principle of “survive by quality, develop by reputation, and create good by service”. Management philosophy, and strive to develop new, exotic, special varieties to meet the needs of new and old customers, so that enterprises to a higher level.. Copyright  Shijiazhuang Hongsu Textile Import & Export Co., Ltd. All rights reserved.